Put your complexion in the spotlight with this soft baby-pink, shimmer-less, natural-looking highlighter. 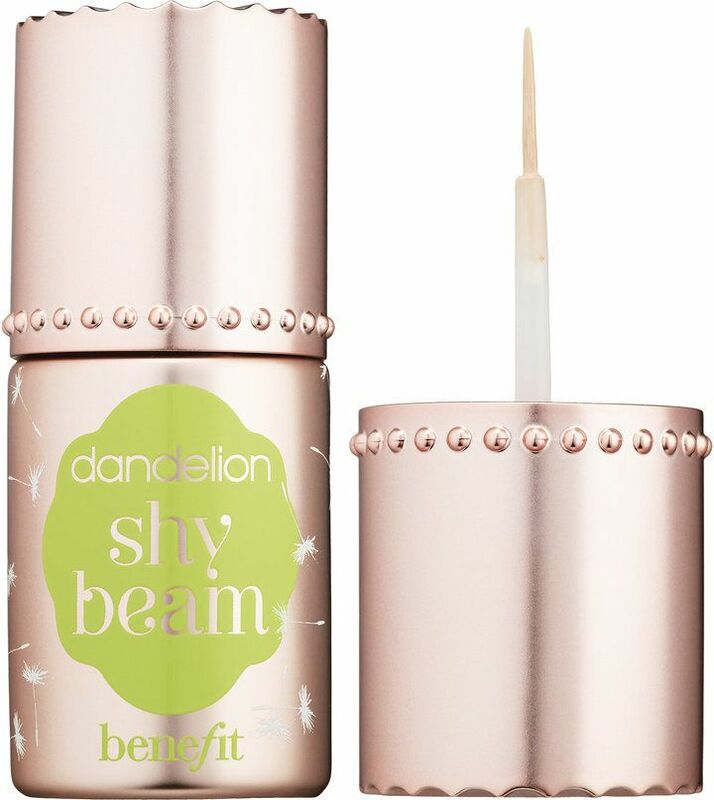 Benefit’s Shy Beam is perfect for contouring, and it can be used under complexion products or as a spot highlighter over makeup. Ideal for all skin types, this foolproof highlighter can be swept on for subtle strobing or to give luminosity for a healthy, no makeup glow. 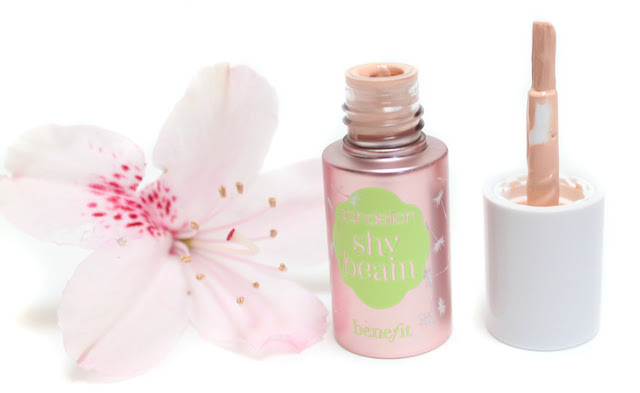 Shy Beam is a lightweight liquid highlighter. The shade is a light milky pink peach. The formula is thin and blends right in to the skin looking almost undetectable. On my fair cool skin, the color is so close that it acts as a brightening concealer. Which is exactly what I wanted it to be. 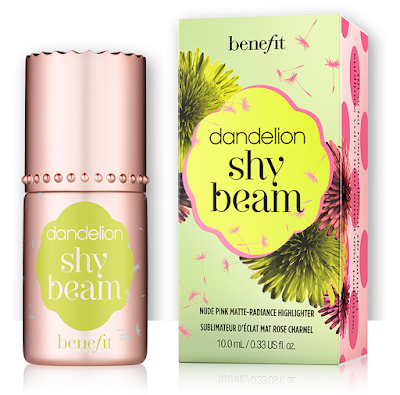 I mainly wanted to use Shy Beam for brightening the darkness under my eyes. It doesn't do heavy duty color correcting like a peach concealer, but it does give a brightening effect. The tiny blush makes applying it even to small areas like the cupids bow or inner eye corners easy. I have been putting it under my NARS creamy concealer and it gives the eyes such a refreshed and awake look. It doesn't crease or become cakey of the semi-sheer finish. This highlighter is great applied on any areas of the face that have dark spots or discoloration before applying concealer. Comparing it to High Beam it is quite different. 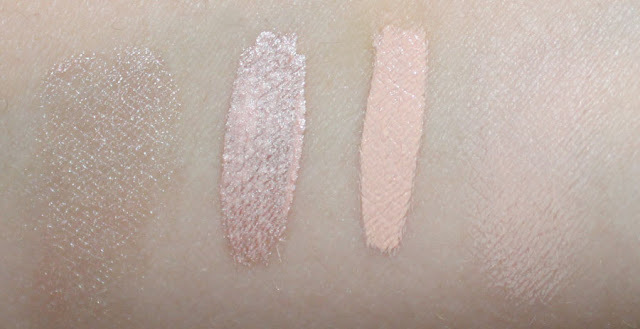 Shy Beam of course is matte, but also much more of a milky peach than the shimmering icy pink of High Beam. The formula's and sheer blendability are similar, but the two products are not alike in color or finish. Shy Beam brightens while High Beam gives the mega-watt glow you expect from a shimmer highlighter. 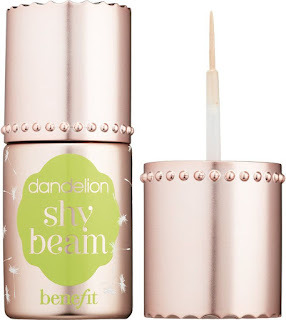 benefit's dandelion Shy Beam is a useful product to have in your makeup arsenal to add natural brightness with out being over the top highlighted. I think on darker skin tones it would be even more beautiful because the lighter contrast will give a more noticeable highlighted effect. I will be grabbing the full size of Shy Beam when this runs out. I have never used up a full bottle of any of my Benefit liquids but this one might change that!